Nurses play a highly important role in our society: aiding those in hospitals who require serious care; caring for children during the school year; and assisting in daily operations at medical offices around the world. These compassionate individuals look after others as their full-time job, ensuring a welcoming and stress-free environment. This Nurses Day, surprise your staff with a warm-hearted gesture or appreciative gift to show your gratitude. When & What is National Nurses Day? Officially sanctioned under Richard Nixon’s presidency in 1974, Nurses Day takes place on May 6 every year. This holiday is meant to recognize the contributions nurses make to our lives and communities. Since the days of Florence Nightingale, nurses have been known to help alleviate pain and discomfort in patients. Every day, nurses help save countless lives while dealing with extraordinary stress. It is a job that deserves to be lauded! This Nurses Day, recognize all those people who have made such an important difference in the lives of others. Hard work and dedication deserves reward, and what better time to reward your nursing staff than on a day devoted to celebrating their role in society? If you aren’t yet sure how best to repay your employees for their unwavering support, we’ve provided some ideas and inspiration for you to consider! Cards, Flowers & Chocolate – There are certainly some “tried and true” ways to communicate thanks and appreciation to special people. These universally beloved gifts are easy to shop for, and come across as incredibly sincere. Choose one, a combination of two, or even all three to present to your nurses. Make sure the card is signed by important staff at your organization – whether that’s the owner, executives, their department head, or friends and close colleagues. A few words of gratitude can go a long way! Inspirational Reading Material – Nurses have incredibly interesting and complex responsibilities. The work they do is certainly not for everyone, and it takes an especially skilled type of person – intellectually and emotionally – to provide care with grace and patience day in and day out! There are plenty of inspirational and informational books you might choose to gift your employees. Give your nurses a retreat from their everyday service in the form of a novel or collection of short stories that will touch and motivate them, just as they do for their patients! Free Lunch – Nurses Day should be celebrated, and way better way to celebrate than with food? Set aside an hour or so to host a catered lunch or potluck meal. Your staff will have a great time chatting over finger foods and soft beverages. Everyone has to eat, and this is a simple idea that goes a long way in boosting camaraderie and team-wide communication. Comfy Clothes & Apparel – It’s no secret that nurses work long, hard hours and spend a majority of that time on their feet! Presenting your staff with lounge-worthy clothes shows not only that you recognize the effort they put in, but that you care about their wellbeing when off the clock. 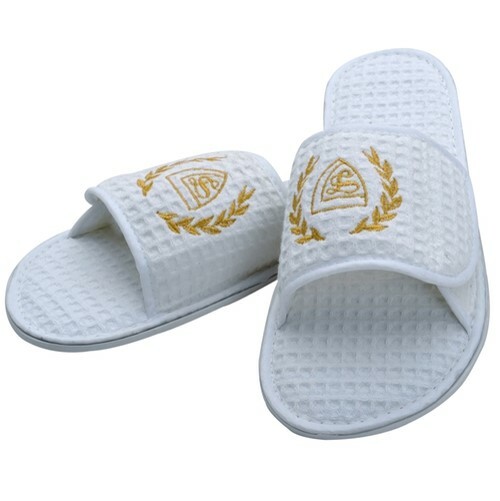 Choose from branded sweatpants or sweatshirts, perfect for relaxing in on days off, or slippers to treat their feet when not caring for patients. Better yet, pair a cozy bath robe with a customized spa kit to really give your nurses the royal treatment! 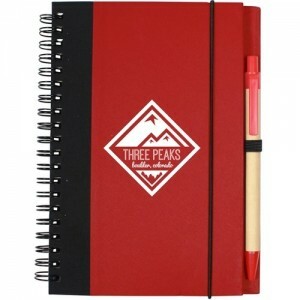 Office Essentials – When in doubt, practical presents are always a smart way to spend on colleagues. With these, the gift is in the presentation. Fill up personalized coffee mugs with K-Cups, teas, and interesting condiments, all tied together with a bow. 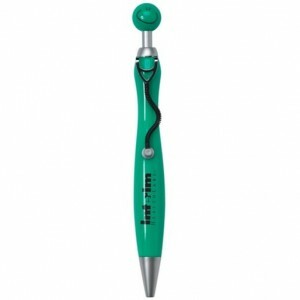 Or present them with a series of fun stethoscope style pens, gifted alongside a thoughtful planner, notebook, or note pad. Luxurious, waffle weave slippers will provide relief for overworked arches on nights and weekends off! This fun pill bottle filled with delicious Jelly Belly candies is the perfect sweet treat to gift professional nurses and students! 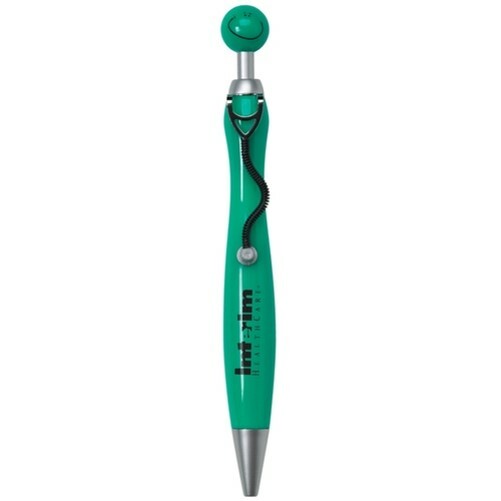 The fun, swanky stethoscope pen has a flexible pocket clip and a smiley-faced plunger. It’s a hot seller guaranteed to make nurses grin! 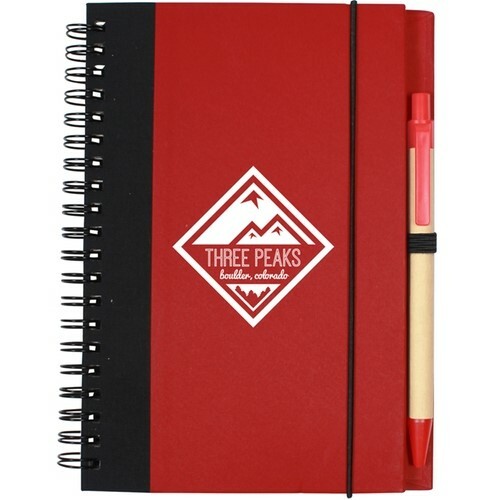 A handsome journal for jotting notes, to-do’s, and other important memos will be well-received by busy nurses. Choose from our colorful and eco-friendly options online! 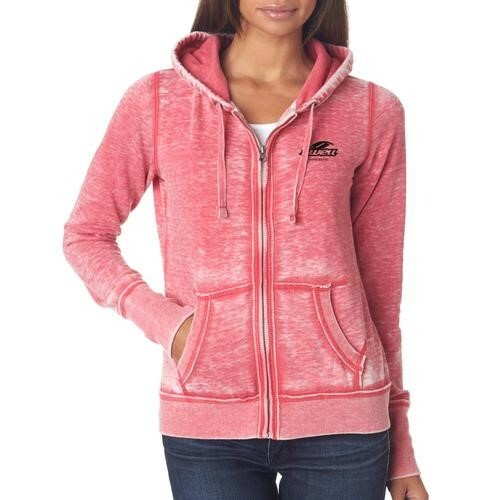 Stylish hoodies are great for throwing on during lunch breaks and for the commute to and from work. 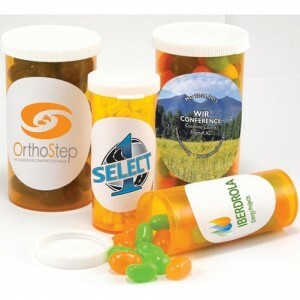 Each can be embroidered to include your organization’s name or logo. 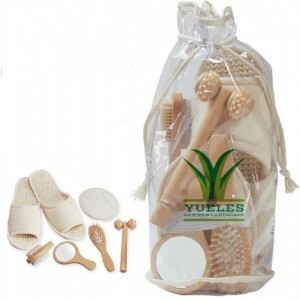 Pampering is made easy with a personal care kit, designed to give nurses the full spa treatment right from home. This holiday is all about taking a moment to show appreciation for your staff. It doesn’t have to be a big, expensive ordeal. Whatever gift or activities you have planned, make sure that you tell your staff how grateful you are for all that they do for your team and your patients or students.